TJC Media Ventures (TJCMV), a wholly owned subsidiary of The Jockey Club, was created in 2012 to implement the fan-development recommendations from the comprehensive economic study of the sport (“Driving Sustainable Growth for Thoroughbred Racing and Breeding”) that was conducted by McKinsey & Company in 2011. The digital and social media activities of TJCMV are conducted under the America’s Best Racing brand. This multi-media campaign is designed to increase the profile and visibility of North America’s best Thoroughbred racing events, with a primary focus on the sport’s lifestyle and competition. Through its website, social media platforms, original videos, and regional ambassadors, ABR seeks to position the sport of horse racing as an exciting and affordable sports and entertainment option to Millennials. In addition, TJCMV supports the production of live racing telecasts and it has brought Thoroughbred racing to millions of individuals through racing telecasts on NBC Sports Group. In 2017, it will continue to be a co-presenting sponsor of the Breeders’ Cup Challenge series of races, which will be televised by the NBC Sports Group networks. TJCMV continues to focus on producing entertaining and engaging content and developing its distribution network through television, digital and social media, and third parties. The Asian Racing Federation is the representative body for thoroughbred racing in Asia, Oceania, the Middle East and Southern Africa. Its members are the national racing authorities across this region which stage thoroughbred races. Collectively these countries stage 54,000 races per year, account for 54% of global prize money, produce an annual foal crop of 50,000 foals. The Federation organizes the bi-annual Asian Racing Conference, with delegate numbers of exceeding 800 from more than 30 countries and was first held in 1960. Promoting and facilitating the internationalisation of racing. Quality control of ‘black type’, which the ARF carries out through its Asian Pattern Committee. Harmonization of the rules of racing and of drug control across its members throughout the region. Assisting the development of racing throughout the ARF footprint. Totepool is the exclusive government licenced pool betting operator for all UK horse racing and part of the Betfred group. Totepool has been licensed by the UK Government since 1929, and moved to be owned by Betfred in 2011. Totepool operates in around 10,000 shops, and is one of the world’s fastest growing pool networks, Totepool is committed to delivering rapid growth in pool sizes through innovation and expansion, and operates pools in horseracing, greyhound racing and sportsbook. International co-mingling has contributed significantly to the expansion of the business. Many overseas operators already take full advantage of the benefits offered by Totepool. Countries currently betting into UK Totepools, include Ireland, South Africa, Germany, Holland, and USA. Totepool also has a strong reverse commingling market betting into Hong Kong and others. Pool betting in 2017 will be over $1 billion USD. Totepool betting is available at over 1,450 UK horse race meetings and 10,000 races every year. Offering a wide range of exciting and popular single race and multi-race bets daily. In the UK all major bookmakers including Betfred, Ladbrokes, Coral, Betfair and William Hill all offer Totepool bets to their customers. The competitive deduction rates on all Tote products offer its partners zero risk or liability and fixed commission earned on every unit staked. Their customers benefit from a value alternative to fixed odds betting and a wider range of bets daily including unique and exclusive bets, such as Toteplacepot and Totescoop6. The Totescoop6 is Saturday’s big racing bet and it lived up to its name of the millionaire maker in 2014 when creating eight double millionaires on a single Saturday in May. On that day Totepool generated the biggest combined pool of all time at a staggering $25 million USD in total, with around $16.5 million USD handle generated on the final day alone. Totepool is built on a culture of constant innovation and product development, which led to record pool sizes in 2014 and this trend continues to prevail in 2017. In March this year, such is the popularity of the Toteplacepot; it produced pools of around $1.5 million USD every day at the Cheltenham Festival. The company is committed to stay at the forefront of pool betting and will significantly update its bet portfolio through a technology refresh program, which will see Totepool offering seamless connectivity to its partners worldwide, through peer to peer and ITSP connections. Last year Totepool launched a greyhound pool betting service offering daily bets on multiple meetings covered by SKY SPORTS, RPGTV and BAGS. This has proved to be very popular with greyhound fans offering customers a competitive alternative to the traditional fixed odds option. As a key player in the horse racing industry Totepool and Betfred are the biggest sponsors of UK racing. Totepool alone sponsor over 550 races in 2017, and spend around $10 million USD, helping support owners, jockeys, trainers and stable staff across the country. Being racing’s biggest supporter gives Totepool the foundation and relationship with the sport that allows our pool betting business to be vertically integrated, across all betting verticals. Every major sport has its championship. The NFL has the Super Bowl. Baseball has the World Series and the NHL has the Stanley Cup. But until 1984, the sport of Thoroughbred racing didn’t have a signature year-end event to decide its champions. That fact rankled prominent Central Kentucky breeder John Gaines, and through great determination, perseverance and persuasion, he set out to change it. Gaines convinced his fellow prominent breeders that funding an unprecedented day of million dollar races that would attract the best horses, trainers and jockeys from all over the world would benefit horse racing as never before. Gaines’ dream was finally realized on November 10, 1984 at Hollywood Park when the first Breeders’ Cup was born: 7 races worth a total of $10 million and televised live to a national audience on NBC Sports. Based in Lexington, Ky., with an office in NYC, the Breeders’ Cup administers the Breeders’ Cup World Championships and the Breeders’ Cup Challenge qualifying series, which provides automatic starting positions into the Championships races. The 2017 Breeders’ Cup World Championships, consisting of 13 grade I races and purses totaling $28 million, will be held November 3 and 4 at Del Mar Thoroughbred Club in Del Mar, CA, and will be televised live by the NBC Sports Group. Breeders’ Cup press releases appear on the Breeders’ Cup Web site, www.breederscup.com. You can also follow the Breeders’ Cup on social media platforms Facebook, Twitter, Instagram, Snapchat (@BreedersCup) and YouTube. Founded in 1869 as the first equestrian center in Chile, Club Hípico de Santiago was inaugurated on September 20th, 1870, holding its first racing meeting for the public. Created as a social club to promote the equestrian interests and activities of the Santiago elite, as was the tradition in Europe, Club Hípico de Santiago has sustained and enhanced horse racing for more than a century. The racetrack has received many distinguished guests and personalities, including former President of the United States Theodore Roosevelt, Prince Henry of Prussia, Prince Ferdinand of Bavaria, Count of Savoy Humbert II, Edward VIII, Prince of Wales, Queen Elizabeth II, His Highness Felipe VI of Spain and Sarah Ferguson, Duchess of York, and many other notable foreign presidents and ambassadors. Located on the grounds that border the “Republica” Neighborhood , one of the most sophisticated and traditional quarters of the old city, the venue is laid out from North to South, giving an impressive view of the Andes mountain range from the grandstand. Currently, Club Hípico is home to two courses, a 2400 meter turf track (40 meters wide) and a 2100 meter dirt track (25 meters wide), creating an attractive racing program on both surfaces. The Club’s annual calendar is composed of 86 race meetings, scheduled each Friday and Monday, with 8 special Sundays which are held to promote the family experience at the races. Established since 1873, the well-known “Clasico El Ensayo” is the Club’s most important race of the year. It is the oldest race in Chile and the second oldest on the American continent after the Belmont Stakes. In terms of wagering, there are numerous ways to place a bet, whether directly at the racetrack, off-track through the Teletrak Network (with several locations from Arica to Punta Arenas), by phone at Fonotrak, or online at teletrak.cl which has incentives for its users, collecting points that can be redeemed to place bets online. Without a doubt, Club Hípico de Chile is a Santiago landmark, a venue that invites all visitors to discover its history and enjoy a nice day at the races with family and friends. Sports Information Group / Daily Racing Form, LLC is the premier multi-channel content provider of intelligence, data and analytics to the multi-billion dollar horse racing industry. The company is comprised of complementary digital and print assets as well as rapidly growing online contest and wagering platforms, all built around the iconic Daily Racing Form brand. Daily Racing Form, published continuously since 1894, is the only daily newspaper in the United States dedicated solely to the coverage of a single sport, publishing up to 2,000 unique pages of statistical and editorial copy every day, in as many as 20 daily editions. Its companion website, DRF.com is the most heavily trafficked horse racing destination, providing players with extensive news coverage, interactive past performances, exclusive handicapping tools, and access to DRF Bets™, DRF’s online and mobile wagering platform. Customers can purchase DRF’s products at U.S. and Canadian racetracks and digitally via DRF.com and its mobile apps. Products are also available via third-party online resellers. DRF Breeding, a business dedicated to serving the breeding and sales industries, provides daily pedigree coverage and tools across print and digital platforms to horseplayers and breeding enthusiasts alike. Daily Racing Form’s partners include global leaders who export their signal to North America’s parimutuel audience. Established in 1991 as a general partnership between the Thoroughbred Racing Associations of North America (TRA) and The Jockey Club, Equibase maintains the industry-owned, official database for North American racing. That database is the source material from which Daily Racing Form produces its result charts and comprehensive past performance lines. Through its website, mobile platform and mobile applications, Equibase offers a comprehensive menu of handicapping products, statistical information and video race replays in support of the North American Thoroughbred racing industry. The statistical area of equibase.com provides fans, media and industry personnel access to data pertaining to equine and human participants. Heralded as the next generation of lottery draw games in North America, EquiLottery has made a name for itself in the horse racing and lottery industries since its public unveiling in July of 2014. A novel, responsible and legal way to grow the pie for horse racing and lottery, this game concept allows players to enjoy a sport important to state economies while introducing an exciting and profitable new gaming option for state lotteries and their players. Products and services offered by EquiLottery include systems integrations, a plug and play mobile app, video streaming, intellectual property licensing, racetrack and horsemen negotiations, race calendar development, data licensing, second chance raffle prizes, market research studies and multi-channel marketing support. Cummings first developed the concept for EquiLottery in late 2009 as a response to a life-changing Breeders’ Cup experience at Santa Anita Park in Arcadia, California. Since then, he has spent years designing the game and business model to suit the needs of lottery and horse racing, two multi-billion-dollar industries of vital importance to the states and countries they serve. The initial success of the EquiLottery launch along with the proven track record of his first start up, the Paulick Report, which he co-founded in 2008 with internationally-renowned journalist Ray Paulick, has helped Cummings build a name for himself as an innovator with the persistence necessary to follow through on his vision. Cummings most recently served as COO of PM Advertising, a Lexington, KY ad agency specializing in Thoroughbred racing, penned a regular column with the Courier-Journal and previously served as a political operative in his adopted home state of Kentucky. The Florida Thoroughbred Breeders' and Owners' Association is a not-for-profit association with the mission of promoting the Florida thoroughbred worldwide. The FTBOA represents more than 1,400 thoroughbred breeders and owners internationally who breed, raise, sell, train and race thoroughbreds born in the state of Florida. In 2015, FTBOA was awarded Florida Association of the Year by the Florida Society of Association Executives and the Non-Profit of the Year by the Ocala/Marion County Chamber and Economic Partnership, a prestigious honor considering there are over 1,000 non-profits in the county. Florida is one of the top thoroughbred breeding regions in the world. Ocala, in Marion County, is the heart of thoroughbred breeding, frequently referred to as the “Horse Capital of the World” because it has more horses and ponies that any other in the United States. It is the home to the FTBOA, the Florida Thoroughbred Museum and Gallery, Ocala Breeders’ Sales, top breeding operations, elite veterinarians, research facilities and an abundance of supporting suppliers. Florida ranks second in annual foal production in North America and also annually ranks equally as high with thoroughbred runners, winners and stakes winners. In fact, Florida has produced more Kentucky Derby winners than any state outside Kentucky with Needles in 1956, Carry Back (’61), Foolish Pleasure (’75), Unbridled (’90), Silver Charm (’97) and the 11th Triple Crown winner Affirmed in 1978. Current Triple Crown champion American Pharoah also has Florida ties with his historical Florida bloodlines including Florida-bred Classic champion Unbridled. The horse spent his early training days in the area. Florida is host to championship caliber racing at Gulfstream Park, Gulfstream Park West and Tampa Bay Downs. Florida promotes the Florida Thoroughbred with breeders’ awards, owners’ awards, stakes programs and the FTBOA Florida Sire Stakes race series. Florida hosts several special racing days for Florida-breds including the Sunshine Millions and the Florida Cup. The FTBOA also owns Florida Equine Communications (FEC), publisher of the award-winning monthly magazine The Florida Horse, and produces Wire to Wire, a daily Central Florida thoroughbred digest; Wire to Wire.net, the local thoroughbred auction pub and Horse Capital Digest, an official horse show publication. FEC handles the media relations, social media and internet marketing for the Association. The Florida Horse includes English and Spanish-language content about Florida-bred stakes winners, Florida progeny, breeding and ownership information, farm management topics, feature profiles and important industry trends and events. The FTBOA also administers Florida Thoroughbred Charities, the charitable arm of the Florida Thoroughbred industry. Since 1990, FTC has strengthened the community by raising more than $3.5 million for charitable organizations. The non-profit also funds Second Chances thoroughbred retirement farm at the Lowell Correctional Institute giving women a chance to learn equine skills so they can be placed on farms for employment after release. The FTBOA also represents its membership and the industry, working with the local, state and national levels of government. You can follow the FTBOA at www.ftboa.com, on Facebook and Twitter under thefloridahorse and on YouTube. In 1904, a group of Chilean racing and equestrian enthusiasts, including breeders, owners, trainers and fans were given the task of developing a racecourse. This new racecourse, under the guidance of Don Pedro del Rio Talavera, held its first race meeting on September 19, 1904, on leased land, located in the southern part of the Trench of Aguada. It was soon decided to buy a property in the north of Santiago in an area known as La Palma, located in the area that is now known as Independencia. On 1 December 1905, work began on the construction of what is now Hipodromo Chile, and the first public meeting of races took place on November 15, 1906 with great success and attendance. In order to give more status to its race meetings, the Board of the institution created a set of early classic races, including the Grade I "Gran Premio Hipodromo Chile", a race that continues today and has gained international prominence. After that one there are 7 Stakes Grade I and the next one always starts in June with horses of two years old , and the circuit finishes in December with the Stakes Grade I named St Leger, which has the highest purse in Chile. These 7 Stakes Grade I include two Triple Crowns, one for Fillies and one open for Fillies and Colts. Hipodromo Chile is a sporting symbol of Independence. Its facilities are recognized and respected within the area and country, and is a major source of economic development for the more than 70,000 residents of Independencia. Hipodromo Chile is a recognized member of the International Federation Horseracing Authoroties (IFHA) and of the OSAF (South America Organization for Thoroughbred Development). Hipodromo Chile has one race track and two training tracks, all dirt surfaces and races are always run counterclockwise. Races are held every Saturday and every other Thursday. Racing is staged 86 days of the year at the racecourse, the maximum amount allowed under Chilean law. Racing is held year-round from January to December and during the day and night due to the state of the art lighting network, which allows our clients to experience the unique excitement of our entertaining and thrilling races, which are enjoyed by all the family, in the special areas that we provide for them. On the international side Hipodromo Chile exports races to the United States, Europe , Turkey and Australia and has organized five times the Grade I Latin American Stakes. Hipodromo Chile is the race track that sells the highest number of bets in dollars in South America. The Horse Racing Radio Network is your home for Eclipse Award winning coverage of the biggest events in racing throughout the year. In 2017, HRRN will broadcast more than 100 stakes races from racetracks across the United States and around the world. HRRN is the official radio network of the Kentucky Derby, Preakness, Belmont Stakes and Breeders’ Cup World Championships and produces a series of popular talk shows aired throughout the week on SiriusXM satellite radio: Xpressbet Radio on HRRN (Wednesday – Friday, 3-6 p.m. ET), Jock Talk presented by Tito’s Handmade Vodka (Tuesday, 6-7 p.m. ET), Trainer Talk presented by Fasig-Tipton (Wednesday, 6-7 p.m. ET), Brisnet Call In Show (Thursday, 6-7 p.m. ET), Weekend Stakes Preview presented by NYRA Bets (Friday, 6-7 p.m. ET) and the Equine Forum (Saturday, 8-10 a.m. ET). Select race broadcasts are available in Spanish through the HRRN en Español broadcast platform. Visit www.horseracingradio.net, follow us on Twitter @HRRN or @HRRNenEspanol, and like “Horse Racing Radio Network” on Facebook. InCompass Solutions Inc., a wholly owned subsidiary of The Jockey Club, is a technology solutions company that has redefined how North American racetracks manage their mission-critical information. The centralized Race Track Operations (RTO) system has streamlined operations in the racing office and horsemen’s bookkeeper office at every Thoroughbred racetrack in North America. In 2016 InCompass launched an international language version of the RTO system with a focus in Central and South America. InCompass is also the industry’s largest provider of simulcast program pages through its Simo-CentralTM service. Tools provided to racetracks include a digital condition book matrix, which displays historical statistics on conditions such as the number of times a condition has been used in the past and its average handle as well as eligible horses for those conditions. In 2017, InCompass is scheduled to unveil a mobile application to enable entries to be made online by trainers and their authorized agents. InCompass also offers a racetrack CRM/loyalty package known as InCompass360. This system integrates data from racetrack activities such as on-track wagering, ADW wagers, admissions, ticketing, retail sales, and food and beverage in order to give racetrack management a full picture of the value each fan brings with each visit to the track. As part of its flagship RTO system, InCompass offers at no charge a Pre-Race Vet Exam system, which provides commission and track veterinarians with a centralized approach to the management of their horse exam records. InCompass’ central database platform was also utilized to create the Equine Injury Database, the first national database of racing injuries. InCompass also facilitates the North American Racing Secretaries Association (NARSA), a group formed to give racing secretaries a collective voice in the industry. NARSA members meet periodically to address common concerns and share best practices. Founded on April 4th, 1946 in Lima, The Jockey Club del Perú represents over 150 years of passion for equestrian activity through tradition and the values of the horse racing industry. The very first horse race in Perú was organized at the port of Callo on February 29, 1864. From that moment on, racing passion and the industry have expanded, initially being located at the Cancha Meiggs racetrack (1877-1902) in the La Legua district. With the growing interest in the sport, it became necessary to establish racing at a larger location. The Jockey Club of Lima then moved to the Santa Beatriz racetrack (1902-1938). Due to the sustained population growth of the city however, the location was moved to the San Felipe Farm, where the San Felipe racetrack was made and the Jockey Club del Perú was founded. The start of the 1960’s was marked with the inauguration of the “Coloso de Surco” on December 18th, 1960, a spectacular occasion to greet the new decade, and the Monterrico racetrack was opened to the public. It remains one of the best racetracks in the region. The Recreational Center and the lighting of the track were also implemented during these years. During the 1970’s, the quality of Latin American racing level was augmented with the emergence of top level horses such as Santorín and Flor de Loto, solidifying Perúvian horse racing’s stature at the international level, in both speed and stamina. The turf course, the closed-circuit television and betting machines were introduced during the 1980’s. In February 1995, racing was simulcast for the first time with transmission through satellite signal. In the 21st century, Perúvian Horse Racing has maintained its international prestige with achievements that resonate in Latin America, clearly signaling the Jockey Club of Perú as one of the most important institutions in the country. With an increasingly modern racetrack and a multi-purpose recreation center, the Jockey Club del Perú continues to promote the values of horse racing and family. For more than 80 years, the Keeneland Association has devoted itself to the health and vibrancy of the Thoroughbred industry. As the world's largest Thoroughbred auction company, Keeneland conducts sales every January, September and November. Its sales graduates dominate racing across the globe at every level. In April and October, Keeneland offers some of the highest caliber and richest Thoroughbred racing in the world. In 2015, Keeneland hosted the $26 million Breeders’ Cup World Championships. Uniquely structured, Keeneland is a private, for-profit corporation that returns its earnings to the industry and the community in the form of higher purses, and it has donated millions of dollars in charitable contributions for education, research and health and human services throughout Central Kentucky. To learn more about Keeneland, visit Keeneland.com. The Kentucky Thoroughbred Association (KTA) was founded in 1983 with two primary goals – first unite the industry by addressing long-term problems and representing the Thoroughbred industry on a national basis and second to maintain the highest standards of racing, breeding and training in the Commonwealth. The Kentucky Thoroughbred Owners & Breeders (KTOB), formerly the Thoroughbred Breeders of Kentucky (TBK) founded in 1961, was renamed in 1980 and expanded to include owners as well as breeders. The focus of KTOB was on promoting and protecting the Thoroughbred industry in Kentucky. The KTA/KTOB is committed to long-term solutions that will enable us to protect and promote the Thoroughbred industry. We strive to increase our influence on issues that impact our industry locally, nationally, and internationally. Longitude LLC is the inventor and distributor of the Longitude Enhanced Pari-Mutuel System™, a pool betting technology platform that uses advanced mathematical principles and cutting-edge computing techniques to facilitate innovation. The Longitude Enhanced Pari-Mutuel System enables sports betting and race track operators to offer a wider range of bet types, a richer display of odds data, and bigger pools with more stable odds. By allowing a range of different types of wagers on an individual race or sporting event to be aggregated into merged pools, the Longitude Enhanced Pari-Mutuel System makes more efficient use of existing liquidity. Furthermore, the technology can generate additional liquidity by allowing new bet types to be launched directly into existing pools. Partners in the industry include the Hong Kong Jockey Club, Tabcorp, and Sportech. The globally patented Longitude Enhanced Pari-Mutuel System has its roots in the financial markets, where it has been used for the pricing and settlement of markets on a range of financial and naturally occurring events, such as credit, economic statistics, and weather. Since 1929, the Maryland Horse Breeders Association has been the leading horse industry advocate within the state of Maryland. it functions as an informational resource for horse breeders and owners, the media, community and governmental organizations, and the general public. The main purposes of the Maryland Horse Breeders Association have always been to encourage, promote, protect and improve the horse breeding industry in Maryland. While emphasis traditionally has been placed on the production of Thoroughbred race horses, the Maryland Horse Breeders Association encourages all sports relating to the use of horses. During the last century, the increasing globalization of horseracing where new economic and social interests began to emerge, led to the need in South America to create stronger bonds with organizations related to the activity, Worldwide. “OSAF” Organización Sudamericana de Fomento del Sangre Pura de Carrera was created in May 1958, the first regional racing association in the World. OSAF first Chairman was Dr Oswaldo Aranha, who presided OSAF for 2 years till his death in 1960. Besides his remarkable role in the regional horseracing, Aranha was a prominent Brazilian diplomat who had an outstading carreer in the United Nations. 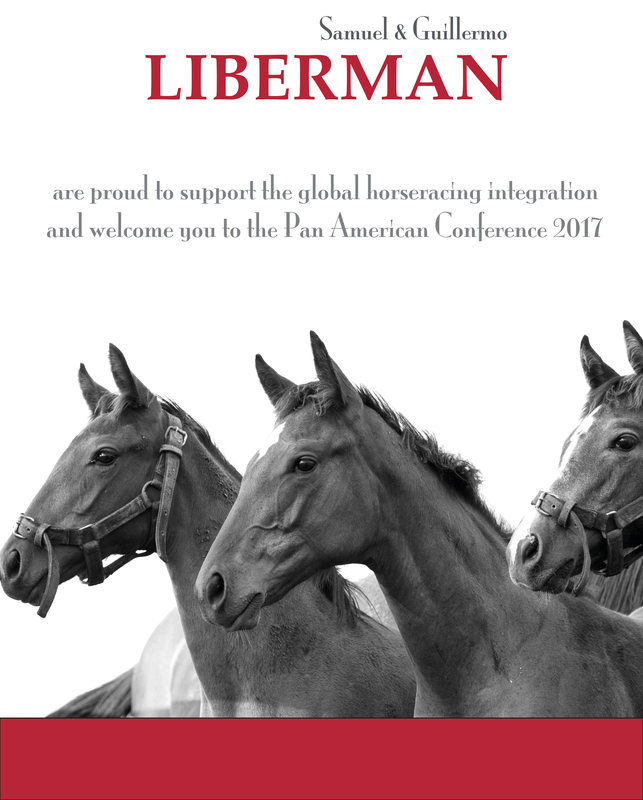 The main objectives of the Organization are the harmonization of rules within the region in all areas related to the activity (Racing, Stud Books, breeding), ensuring the protection of welfare of horses, jockeys; to promote a fair sport; to organize and participate in conferences and international meetings; to create relationships with the major international organizations; promoting the exchange of information and develop reports of public and scientific interest. OSAF became part of IFHA in 1975, and joined ISBC in 1979. In 1981, in Maroñas Racecourse (Uruguay), the first edition of G.P. Latinoamericano was staged. This marked the begginning of an era of a prosperous Continental horseracing. In 1982, the racing authorities from France, USA and Ireland created the International Cataloguing Standards which compiled the top races of 29 racing nations, and in 1998 the 4 major South American countries were included amongst the elite group of 14 in Part 1. In 2009, OSAF began carrying out a series of actions which marked the beginning of a new period of profesionalization: OSAF Chemists and Veterinarian Committee was created, focusing on the stricter control of Forbidden Substances; followed by OSAF Handicappers Committee which set the grounds towards professional rating and race quality control. In 2012, OSAF Board convened to sign the Constitution Minutes to obtain legal status in Argentina, updating the Bylaws by which it had been governed since 1958. The last few years have been most successful in achieving concrete progress as regards extra-regional integration, and giving shape to the new structure of OSAF, with fully-working Technical Committees. In 2013, South American ratings were included for the first time in IFHA LWBRR list, achieving in January 2017 a historical record of 22 South American Thoroughbreds rated above 115 being included. In 2014 Longines became OSAF main partner, supporting its major Group 1 race, now known as Longines Gran Premio Latinoamericano. In 2016 it was the first edition as an open race, featuring extra-classified and extra-regional horses. Also in 2014, the joint work of OSAF Adivsory Council and individual racing authorities accomplished the first milestone in harmonization of doping policies in Argentina, Brazil, Chile, Peru and Uruguay: the ban of Lasix in black-type races. 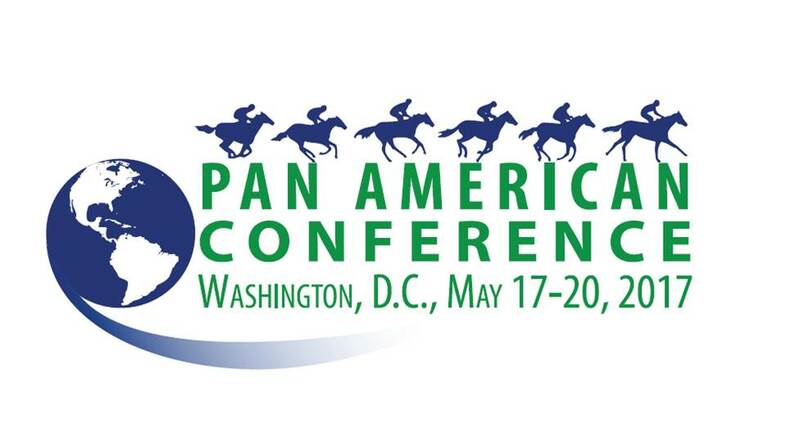 In June 2015 OSAF became sponsor of the 1st Pan American Conference, joining efforts towards the development of the continental industry. In October 2016, ICRAV was organized in South America for the first time (Uruguay), with the support from OSAF as main sponsor. By the end of 2016, OSAF accomplished the goals set for its Pattern Race Committee, being black-type quality control fully operational. OSAF is composed by the major Latin American Jockey Clubs, Racecourses from Argentina, Brazil, Chile, Peru, Uruguay, Panama, Stud Books and Thoroughbred Breeders and Owners associations from these major horseracing nations and Colombia, Ecuador, Mexico, Paraguay and Venezuela. Leading horse race betting tote operator in Europe and third worldwide, French company PMU is today present globally, offering cutting edge betting products on high quality races. Founded in 1930 by horseracing associations, PMU’s mission is to finance the horse sector thanks to off-track betting. This duty is at the core of PMU’s DNA. Racing associations, France Galop and Le Trot, are in charge of organizing races in their own discipline: thoroughbred and jump racing for the first, trotting for the latter whilst PMU’s designs an attractive and responsible betting offer on these races, commercializes bets, calculates odds and pays out the winnings. In France, punters can access PMU’s offer through 13,000 points of sale, often located in cafés, online on PMU.fr, over the phone or by text message. Races are broadcast on two national TV channels, one of which is operated by PMU. With a €9.8bn turnover in 2016, PMU paid out €7,4bn to winning punters and €900M to the State through taxes. Like each year, it returned its whole net profit to the horse sector, amounting to €807M. PMU has a quasi-government status as it is under the supervision of the French ministries of the Budget and of Agriculture. Meeting high standards of transparency, integrity and security, PMU is a trusted operator. After over 80 years of wagering innovations, it has evolved into a multi-activity leisure company with a global reach. It extended its offer in 2010 to online fixed-odds sports betting and online poker. Horse race betting remains the core of PMU’s business, and its know-how in this regard is esteemed globally. This is why the company has expanded over the world. Today it imports and exports races, data and products. Regarding import, PMU has been offering betting on foreign races to its punters since 1997, allowing these punters to enjoy the most prestigious international races whilst supplementing the domestic race schedule. In 2016, bets wagered on imported races accounted for 9% of horse racing betting stakes. As to export, PMU has been selling horse racing pictures and data to foreign operators, as well as its betting expertise, since the end of the 80’s. It currently holds 67 partnerships with 48 different countries, over all continents. Partners pick the races they want from PMU’s catalogue. They can choose to connect their pool with that of PMU, allowing their domestic punters to enjoy attractive odd and winnings. They can also go for separate pool betting, which means they keep their own pool, offer local products and build their odds, all on the races they bought from PMU. Stakes wagered in common pool betting exceeded €1bn for the first time in 2016 (€1.042M). From now on, for every €100 wagered in horse betting at PMU, €11.8 come from outside of France. PMU can also provide its common pool partners with the international races included in PMU’s program. In 2016, one third of the stakes wagered on foreign races (€801M in total) came from different countries, confirming PMU’s status as an international hub. Revenue generated by BtoB export increased by €30M in 2016, net margin reached 83M€ in 2016, gaining 2M€ every month. Last but not least, PMU operates in BtoC in Belgium, Germany and Brazil through subsidiary companies. In every country where it is present, PMU is concerned about the support and development of the horse racing sector, determined to created virtuous circles of sustainable growth for the local industries which count many jobs and contribute to green country planning. Founded by the late Edward J. DeBartolo, Remington Park opened in 1988 and immediately became the number one attraction in Oklahoma. Purchased in 1999 by MEC, in 2010 Remington Park was sold to Global Gaming Solutions, a wholly-owned subsidiary of the Chickasaw Nation. Remington Park now operates year around, drawing in excess of 2 million guests per year, featuring live Quarter Horse racing from March to June and live Thoroughbred racing from August to December, as well as 750 slot machines, multiple restaurant options, featured bars and deluxe areas for concerts, boxing and a wide range of entertainment activities. Since 2005 Remington Park has generated over $170 Million for Oklahoma Education and a similar amount for purses and breeder awards. Now in its 29th year, Remington Park is home to the $1 Million Heritage Place Futurity, the Grade 3, $400,000 Oklahoma Derby and the $300,000 Springboard Mile on a growing list of top-flight races. Lone Star Park opened for live racing in 1997 as a partnership between horsemen, private investors and the City of Grand Prairie, Texas, located just between Dallas and Ft. Worth in a “Metroplex” of more than 6 million inhabitants . Fueled by money from regional growth, Texas pride and a passion for horseracing older than the Alamo, Lone Star Park quickly took its place among the most recognized racetracks in the United States. Horse of the Year Skip Away raced there opening weekend and in 2004, just seven years after its opening, Lone Star Park hosted the Breeders’ Cup—far and away the “youngest” track ever to do so. By that time, Lone Star had also developed a consulting division which was instrumental in the reopening of the Hipodromo de las Americas, the national racetrack of Mexico, and Hipodromo Maronas, the national racetrack of Uruguay. That division is currently completing a project at Hipodromo Monterrico, the national racetrack of Peru. Lone Star Park was acquired by Global Gaming Solutions, a division of the Chickasaw Nation, in 2011. Celebrating its 20th anniversary in 2017, Lone Star Park continues to draw large crowds of enthusiastic fans for live horseracing, year around simulcasting, and special events of all types. It is located in the heart of Grand Prairie’s Entertainment District. Roberts Communications Network (“RCN”) is a Las Vegas, Nevada based supplier of private audio, video, and data network services for the pari-mutuel, sports, entertainment, and education industries. RCN operates worldwide satellite and terrestrial (including internet) networks that the company has built over the last three decades. RCN is the world's largest distributor of simulcast horse and greyhound racing simulcasts which are received by licensed receiving locations and residential users around the world. Firm Overview: In boardrooms and courtrooms, Stoll Keenon Ogden PLLC provides legal services to clients in Kentucky, across the country and around the world. Our attorneys are recognized among the best in their fields by Martindale-Hubbell, Best Lawyers in America and Benchmark Litigation. We build client relationships for the long haul, because succeeding at business is a marathon, not a sprint. The Argentinian Jockey Club is a social center founded in Buenos Aires on April 15th, 1882 at Doctor Carlos Enrique José Pellegrini’s initiative. Its primary objective was and still is both to improve competitiveness among Argentine-bred horses and to aim at the development of the turf industry all over the Argentine Republic. With that purpose in mind, the Argentinian Stud Book was created. This is the breed registry where the breeding and pedigree of thoroughbreds foaling are recorded yearly. Its architectural magnificence, the elegance and splendor of its lounges, its fine and rich works of art collections, its unique library, made this true palace stir a legitimate national pride for Buenos Aires city. San Isidro Racecourse, owned by the Jockey Club, was opened on December 8th, 1935. This place takes up 148 hectares resulting in one of the most attractive racecourses all over the world. Here the best turf men, professionals and thoroughbreds from the continent converge. It is also the cradle from where a significant amount of our horses have spread the prestige of our industry. It is situated in San Isidro, B. A. province. 120 racing meetings are held both on turf and dirt with uninterrupted racing. It can hold 100.000 spectators in its 3 stands, with a covered surface area of approximately 32,000 square meters. It relies on a Quantum betting totalizer, 597 electronic vending machines, artificial illumination installed in 79 columns and light projectors over the stands, a closed central TV circuit with 9 cameras and 200 display monitors, a time controller in each contest through a tele timer system. Likewise, getting bets from 600 betting agencies, placed all over the country. Its satellite station is placed in the center of the track, transmitting in C band, forecasting scanned imaging and, counting on redundant equipment. Every December the Gran Premio Internacional Carlos Pellegrini takes place. This is the most important race in the South American Racing Calendar. Horses from all over the world take part in it. In October, the Gran Premio Jockey Club takes place, being the oldest race in Argentinian Racing, dating back to 1883- whereas in August the longest race in Argentine is run, the Clásico General Pueyrredón (G3), over 3000 meters. The Jockey Club also has a training camp which takes up 94 hectares, with 5 tracks. The first one is made of turf and is 2.420 meters long by 30 meters wide; the second one is made of dirt and sand and has 2.247 meters long by 25 wide; the third one is made out of dirt and it is 2.100 by 25; the fourth and fifth, are not so long, and are made from river sand. There are 1.800 boxes distributed in 135 auxiliary buildings where most of horses that enter the racecourse races live, there is also a jockeys and apprentices’ school, a farriers’ school, and a Veterinary Service and Laboratory Center. TJCIS, incorporated in 1989, is a wholly owned subsidiary of The Jockey Club. All profits from TJCIS activities are reinvested in the Thoroughbred industry, funding many industry projects designed to promote Thoroughbred breeding and racing. In February 2015, TJCIS purchased a majority ownership interest in BloodHorse magazine, which includes related digital and custom printing properties of BloodHorse, the Stallion Register, and BloodHorse’s 50 percent interest in TrueNicks LLC. Operations of the online information and service provider include equineline.com, the Internet-based information network for Thoroughbred and American Quarter Horse industry professionals, catalog pages for North American Thoroughbreds sold at public auction, and software sales and consulting. TJCIS provides a free online Owner Program that assists owners in managing financial records and organizing health, insurance and nomination information. TJCIS has launched numerous mobile applications, including the equineline Sales Catalog app and the equineline Mare Produce Records app. Equineline.com features a reports service that provides instant access to pedigree information and race records, including free 5-cross pedigrees, and a portfolio service that enables owners and breeders to create a personal profile of their equine interests, which is updated with real-time information. Equineline.com includes a trainer program to help professional horsemen and their assistants streamline or automate the business-related details associated with training horses, and a farm program to help farms organize all of the billing, health care, breeding and foaling records upon which successful operation of their business depends. Equineline.com also features a Pedigree Analysis Program that enables customers to research and analyze the effects of specific crosses and inbreeding patterns through queries of the TJCIS global database. TJCTS, a wholly owned subsidiary of The Jockey Club, provides technology solutions to address complex business needs. TJCTS is the technology solutions provider to The Jockey Club and its affiliated companies as well as other organizations inside and outside the Thoroughbred industry. TJCTS, on behalf of its affiliates, operates the most comprehensive Thoroughbred horse database in the world, housing all North American Thoroughbred pedigrees as well as past performance data for Equibase, the Official Supplier of Racing Information and Statistics to Breeders’ Cup, America’s Best Racing, ESPN, MSNBC, NTRA, The Jockey Club, TRA, TVG, and Xpressbet. TJCTS also operates the InCompass North American racing office management and simulcast data distribution networks, the Equibase North American race results collection network, and The Jockey Club Information Systems’ World Hub. TJCTS engineers software solutions and secure, hosted environments for many of the industry’s most prestigious brands. Its portfolio of services includes the creation of web and mobile applications, social media integration, and data services. The Stronach Group is an industry leader in world-class horse racing, entertainment and pari-mutuel wagering technology. Founded in 2011 by Frank Stronach, the visionary behind Magna International Inc., and The Honorable Belinda Stronach, The Stronach Group is at the forefront of the movement to modernize the sport of horse racing and race course properties to engage a new generation of fans. Within our portfolio of racing and gaming businesses, The Stronach Group owns and operates some of the greatest brands in the industry, including Santa Anita Park, “The Great Race Place”; Pimlico Race Course, home of the legendary Preakness Stakes; Gulfstream Park, one of Florida's newest entertainment destination centers and host to the $12-million Pegasus World Cup Invitational, the world’s richest Thoroughbred horse race; Laurel Park; Golden Gate Fields; Portland Meadows; and Rosecroft Raceway. The Stronach Group is a worldwide leader in online and telephone wagering technology through its Xpressbet brand and a leading global supplier of pari-mutuel systems and services through its AmTote subsidiary, providing the technology that powers on-track and off-track betting. The Company, through its subsidiary Monarch Content Management, is also a major distributor of horse racing content to a global audience. Adena Springs, the breeding and training operation of The Stronach Group, with stables in Kentucky, Florida and Ontario, is one of the world’s leading Thoroughbred horse breeding operations and the winner of numerous national and international awards for excellence in breeding. Our stables have produced more than 200 individual stakes winners over the years, including multiple Breeders' Cup champions as well as winners of the Preakness Stakes and Belmont Stakes. The Stronach Group is passionately committed to horse care and horse aftercare. The Company created the Adena Thoroughbred Retirement Program, with locations in Ontario and Florida, to re-train and rehabilitate horses after their racing careers have come to an end. The aim of the retirement program is to match horses with owners who will provide suitable, lifelong adoptive homes. To date, more than 400 horses have found new homes and second careers, including many who have gone on to become therapeutic horses for children with special needs. Additionally, key members of The Stronach Group actively serve on the advisory board of the Thoroughbred Aftercare Alliance. The Stronach Group is dedicated to elevating the profile and reputation of the horse racing industry while protecting the integrity of the sport. This philosophy guides the way we do business and how we manage the day-to-day operations of our racing and breeding facilities. The Stronach Group is committed to providing a safe environment for the horses at our race tracks and farms, humane living conditions for the backside workers, and an unforgettable entertainment experience for our customers. The leadership that exercised the city of Valparaiso was fundamental in the growth that our nation experienced in the middle of XIX century. The arrival of Europeans in its port transformed Valparaiso into an active pole of development in several areas: social, economic, industrial, and technological: El Mercurio de Valparaiso - the World’s oldest Spanish-language newspaper still in circulation, the first Stock Exchange, the first Fire Department, the first telephone Exchange of the continent, among others things, illustrate this phenomenon in which sport was not absent. Chile also owes to Valparaiso the origins of football, which was played by English in various places of the port city and eventually gave rise to the creation of the oldest professional soccer team in South America, the Santiago Wanderers. The English immigrants were the main drivers of horse racing, the longing to revive in these distant lands what they enjoyed in their birthplace. Thus, on September 8, 1864, they managed to organize the first meeting of horse racing in Placilla, making their dream of English racing in “their” "new land true, making Valparaiso Sporting the birthplace of Latin-American horse racing activity, and the second racetrack of the continent after Saratoga in New York. The following year and due to the increasing success of this new activity, the Intendant of Valparaiso requested to realize in a special way during the celebration of the National Holidays, the race meetings in the Alejo Barrios Park, that over the years became a tradition, which along with the ramadas, that were enabled for the celebration of National Holidays, were the activity not to be missed in those years. Today the tradition of the ramadas remains undiminished at the same place. Shortly afterwards a secretariat was opened in the traditional Cochrane Street, thus leaving the activity properly adjusted to the regulations of racing in England. Horse racing spread like a wildfire in Chile. Our institution ordered the study of a race which was similar to the one that had started running since 1780 in England. That is how the classic Derby from Chile was born in our racetrack. It was held for the first time as a great public celebration on October 25, 1885. It nearly became the great horse racing celebration in Chile, and in the continent. A few years later, in 1895 Valparaiso Sporting created the Chilean Stud Book, laying foundations to the development, and growth of this activity. Since its beginning it became a family celebration where both horseracing and non horseracing enthusiasts enjoy equally. Nowadays, the sole mention of it recalls the big spectacle held every first Sunday of February in our racetrack. This is where a 150 thousand people are gathered around race horses…that neither the technology nor the more than 200 betting shops have managed to reduce in terms of attendance to our racecourse... that multicolored crowd that is the characteristic of this supreme event. At the present time, Valparaiso Sporting has positioned the Derby as its maximum horse racing event, incorporating its big celebration to the Viña del Mar billboard, being this last one and the Festival Internacional de la Canción the most important summer events in the area. Our institution, leader in innovation in the national horse racing industry, has incorporated the technology into their daily shows through high definition broadcast around the country through an exclusive horse racing channel, Teletrack TV, and through betting shops located in the main cities of our country. Similarly, our television signal is broadcasted via satellite to countries like France, The United States of America, United Kingdom, Australia, Turkey, and Brasil, to name a few. The building of a dirt track four years ago has been vital to the growth of Valparaiso Sporting, being a luxury for the national horse racing activity, to house two tracks made of different materials: turf and dirt tracks. On its 152nd anniversary Valparaíso Sporting prepared in a special way for the first time the most important horse racing event in Latin America, the LONGINES GRAN PREMIO LATINOAMERICANO, which was engraved with gold writing in the history of the oldest racecourse of Latin America. Valparaiso Sporting...has a great trajectory ... but a young soul... The birthplace of Latin-American horse racing activity. With roots dating back to 1881, Woodbine Entertainment Group is the largest horse racing operator in Canada, showcasing world-renowned horse racing at Woodbine Racetrack (Toronto), home of the iconic Queen’s Plate, and Mohawk Racetrack (Milton), host of the storied Pepsi North America Cup. WEG is the leading member of the Standardbred Alliance and the single operator of Teletheatres and Account Wagering, available through www.HPIbet.com, in Ontario. Woodbine Entertainment is designated as a Caring Company with Imagine Canada, and gives back through the WEGcares Community Investment Program.